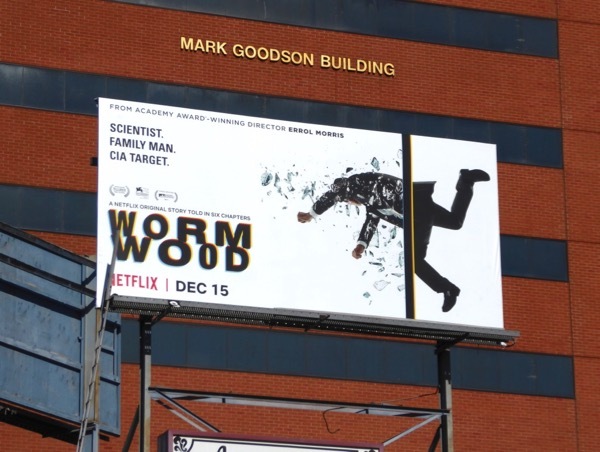 In the latest true crime documentary from Errol Morris, an army scientist plunged to his demise from a hotel window in 1953 drugged with LSD and a bombshell report in 1975 tied his death to a top-secret government project. 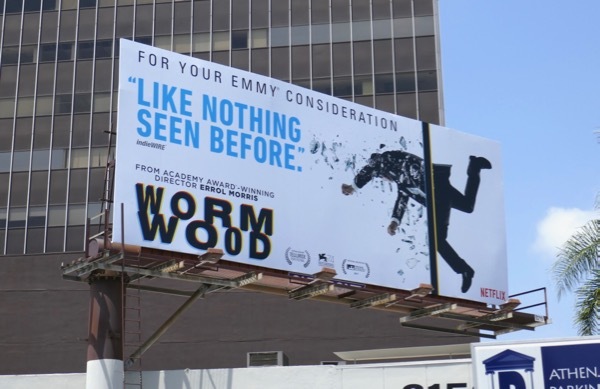 Wordwood is a six-part Netflix docu-series (and was also released as a 240 minute long film in cinemas), which features reenactments of events and follows the story of one man's sixty year quest to reveal the secrets of his father, Frank Olson's, mysterious death. 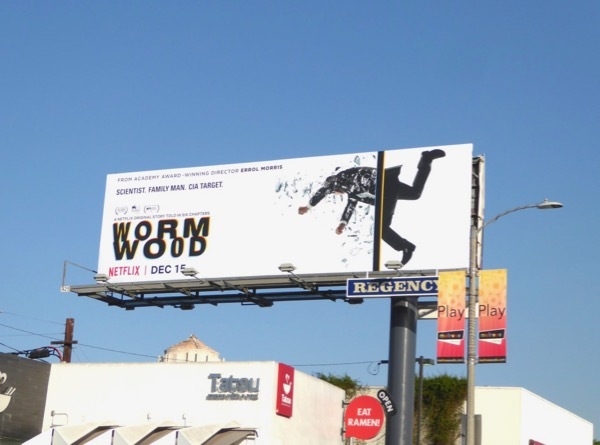 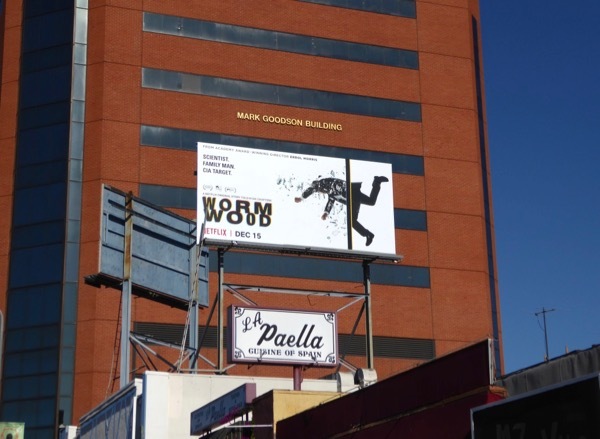 The standard landscape bulletin for Wormwood was spotted along Melrose Avenue on December 4 and the smaller ad was snapped above San Vicente Boulevard on December 12, 2017. 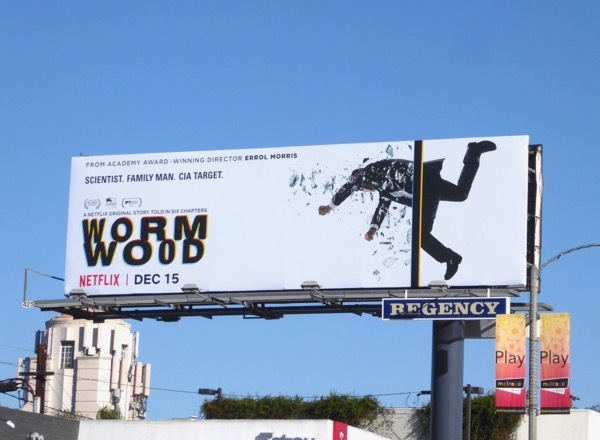 Shadowy government experiments, murder by LSD and CIA coverups, it all sounds like the perfect ingredients for a spy thriller, unless you're the target that is. 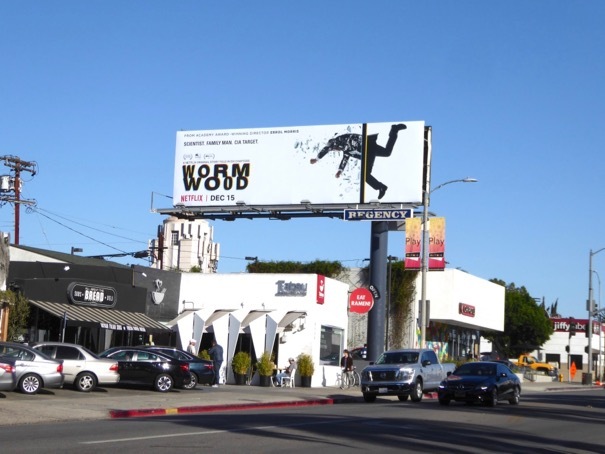 UPDATED: Here's also an Emmy consideration billboard for the mini-series spotted above Wilshire Boulevard on May 28, 2018.